Oracle announced today that it has agreed to purchase B2B marketing automation leader Eloqua for $23.50 per share, which comes to $871 million. This was a bit of a surprise, given that Eloqua just went public in August. The stock had been hovering around $17.50 recently, so $23.50 is a 34% premium: reasonable but not exciting. It suggests that neither Oracle nor Eloqua management felt the company was substantially undervalued. So that’s all fine, but what industry observers really want to know is how Salesforce.com will react. Before addressing that, let’s acknowledge that it’s an "inside the Beltway" concern. Working marketers care more about how this affects the products and services they’ll get as current or potential Eloqua customers. The jury on that is very much still out. Eloqua’s press release promises that Oracle will “significantly increase engineering investments in Eloqua products” and “make Eloqua the centerpiece of its Oracle Marketing Cloud”. But that’s what they all say, eh? It seems more likely that Oracle will slow down Eloqua enhancements as it evaluates the product’s direction and decides how to best integrate existing Oracle technologies. Indeed, the company says as much in its FAQ on the deal: “Oracle plans to integrate several of its key technology assets, such as Big Data and Business Intelligence, to deliver enhanced value to Eloqua’s products.” That may be the best for Eloqua’s customers in the long run, but the changes will take time to deliver and necessarily distract from near-term product enhancements. The impact on customer service is likely to be even more negative. Eloqua’s culture is very focused on customer success, and it has been a clear leader in areas like marketer training. Oracle is less customer-focused and generally less nimble (I'm being polite here). It will be Oracle’s culture that dominates the combined organization. Small businesses in particular can expect little love from an Oracle-ized Eloqua. The company had already been pulling away from that market and now will almost surely give it even less attention. One very specific reason is that B2B marketing automation vendors have always touted client counts as a competitive success metric, which encouraged them to sell to a lot of small clients to inflate that number. Oracle doesn’t report client counts, so that motivation will be gone. What if you're an enterprise marketer? In that case, this might well be a good thing. If you look back at my earlier post this week on the industry future, I argued that the major marketing automation systems will become platforms that support a range of independently developed applications, similar to the Apple and Android app stores or the Salesforce.com AppExchange. 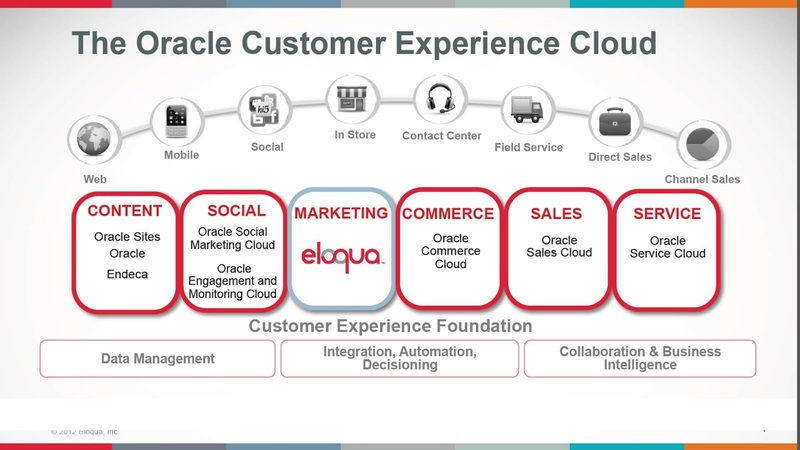 As part of the Oracle “Customer Experience Cloud”, Eloqua itself will plug into a larger platform: so it’s pretty much the same model but on a larger scale. Of course, a platform that serves all customer life stages also by definition contains all information about each customer. This is another Good Thing, since it provides a truly complete customer view and thus enables the best possible coordination of customer treatments across systems and throughout the relationship. I’m not saying Oracle is guaranteed to fulfill this potential (see my earlier comments under "nimbleness, lack of"). But at least it’s possible. And, just maybe, Oracle managers will see the value of Eloqua’s “appcloud” marketplace and expand rather than kill it. Wouldn’t that be nice? Okay, now we can talk about Salesforce.com. There’s a case to be made that this whole purchase is just a way for Oracle’s Larry Ellison to annoy Salesforce’s Marc Benioff: after all, Eloqua isn’t costing that much more than the Hawaiian island that Ellison bought himself not long ago and it might give Ellison greater pleasure. It’s certainly worth a chuckle at Oracle headquarters that Eloqua was recently selected as Salesforce’s own marketing automation tool. More significantly, the Eloqua purchase poses an awkward dilemma for Salesforce, which wouldn’t let Market2Lead continue to integrate with Salesforce after Oracle bought it. Taking the same line with an Oracle-owned Elqoua isn’t quite as easy, and in fact is probably impossible. So now Salesforce finds itself forced to give Oracle access to prime customers, which cannot be a pleasant prospect. We’ll see how they handle it. The Eloqua purchase certainly exposes the downside of relying on AppExchange partners to provide significant functionality needed by Salesforce clients. Yes, Salesforce.com gets to leverage those partners’ efforts, saving its own funds for other, more strategic investments. But if a big partner like Eloqua goes away, there’s some danger it could take Salesforce clients with it. This doesn’t matter when there are plenty of alternative partners to provide Salesforce clients with similar capabilities, which has been the case with marketing automation. The calculus changes when a few large vendors start to dominate the marketing automation space – especially among enterprise clients, who have special needs that only a few vendors can meet. More concretely, Salesforce now has to think long and hard about Marketo’s future. The expectation has always been that Marketo would remain independent, eventually as a public company. But what if they get bought by potentially serious competitor like SAP or IBM, either before or after a public offering? Salesforce might well decide to buy them itself just as a defensive measure. * Raab Associates estimates the industry grew about 50% this year, to $525 million. I haven’t come up with a considered estimate for next year, but suspect the rate will fall a bit on a percentage basis, even though absolute dollar growth will be about the same or higher. 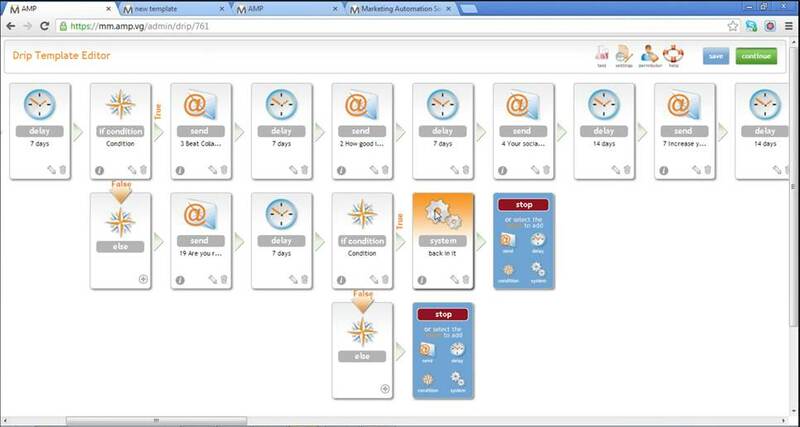 ** In fact, Oracle has two B2B marketing automation products, the other being Oracle Fusion Marketing. ‘Tis the season for industry predictions. I’ve already fielded a couple of requests for my thoughts, which usually requires some pondering before I reply. But this time I was able to answer right away because I’ve just finished a white paper on the future of B2B marketing automation, sponsored by Leadformix and available here for free download. The question answered by the paper is “What will marketing automation vendors do next?” This is different from the perhaps-more-important question of “What will marketers do next?” I don’t claim any particularly deep insights into the latter: they'll continue to adapt to new media and buying habits, I guess. Like everyone else, I’m seeing greater use of social, mobile, and video; more cross-channel campaigns; closer cooperation between marketing and sales; and expanded use of analytics. If I had to predict one thing that isn’t utterly obvious, it's that B2B marketers will be more involved with managing customer relationships after the initial sale. The reason is that post-sales interactions are increasingly automated and marketers have the best tools to manage automated interactions effectively. The task is really the same as a sophisticated lead nurturing campaign: to monitor customer behavior and respond appropriately. marketing automation vendors must grow or die. Today’s B2B marketing automation systems are used primarily for lead nurturing. This means they don’t help other marketers who do lead acquisition and marketing administration (planning, budgeting, project management, etc.). They also have limited interactions with sales and service departments, who own the post-sales customer relationship. Marketing automation vendors who want to expand their business need to service these other groups or risk some other system becoming the central platform for marketing management. If that happens, the other systems will slowly encroach on marketing automation functionality and eventually replace it. marketing automation can expand in either direction along the customer path: backward to acquisition or forward to sales and service. Most expansion to date has been towards sales, in the form of add-ons that give salespeople access to information about behavior of their leads. But CRM systems are deeply embedded in sales departments, so they block growth in that direction. I therefore expect marketing automation vendors to instead shift toward features for acquisition marketers. These would include not just “inbound marketing” through social media and search engine optimization, but also purchasing media such as online and offline advertising. marketing automation can also be divided into layers of delivery systems, campaign management, and platform functions. Delivery systems manage touchpoints such as Web sites, email, and social media publishing. Campaign management is the rules and models to select names for promotions. Platform functions are supporting technologies such as the marketing database, planning and budgeting, content management, analytics, and security. Current marketing automation systems do all three to the degree needed for lead nurture campaigns. Extending to other users will require more powerful platform functions in particular. Whoever controls the platform can best expand throughout the marketing department. marketing automation vendors will increasingly fall into two groups: a handful of big platform vendors and larger number of small specialists. The platform vendors will offer a broad range of functions internally and further extend their range by exposing their platforms to third party developers through “app markets”. The specialists will have narrower scope but be very good at serving companies with specific needs such as low cost, marketing services, or industry editions (for sports, investments, franchises, etc.) Both types of companies can succeed although the platform vendors will tend to dominate over time. new competition will come from outside the industry, especially from delivery systems. This seems counter-intuitive: delivery systems are by definition channel-specific and function-generic (a term I just invented to mean they serve all functions within marketing, sales and service). This means they are in the strategically weak position of selling commodity products without strong ties to any particular set of users. But the delivery vendors recognize this weakness and can afford to overcome it by investing in campaign engines and platform features. This is exactly what's happening when email vendor ExactTarget purchases Pardot or Web content management vendor SiteCore adds email campaigns and a database. It (almost) goes without saying that CRM vendors are also potential competitors: they already have the platform features; what they mostly lack are campaign engines. These trends have specific implications for marketers who are selecting a marketing automation system. You'll need to download the white paper to find out what they are. It’s more than three years since my original post about Sitecore’s plans to transform itself from a Web content management system to a platform for cross-channel customer experience management. It seems to be working out – since that time, revenue has grown 40% per year and the number of clients has nearly doubled from 1,600 to 3,000. The company has attracted additional funding, added support for producing dynamic print content, launched an “App Center” for pre-integrated third party products, built a cloud deployment on the Microsoft Azure platform, and extended to new channels via partnerships covering community management (Telligent), online video publishing (Brightcove), and social marketing campaigns (Komfo). In other words, Sitecore has been steadily executing on the strategy they described in 2009. If there has been a change, it’s recognition that the company can’t build everything itself: hence the partnerships and app center, which use other developers’ products to extend Sitecore to other channels. Sitecore says this makes sense because giving customers a consistent experience across all channels requires only central data and central content management. Letting external systems deliver the actual interactions causes no particular harm. This vision should sound familiar: it’s the idea behind the real time decision management systems I’ve been reviewing recently. The difference is architecture: the decision managers place decision logic at the center and see customer data and content as peripheral. More specifically, the decision managers assemble a consolidated customer profile by pulling data on demand from external systems rather than storing it internally. This is actually a pretty minor difference, since in practice most companies will both maintain a central customer database with key profile information and make direct connections to other systems for details such as transactions. The Sitecore model is pretty much the same: it creates its own customer database and supports real time connections to other systems via Web services or database queries. The approach to content is a more significant distinction. Most decision managers assume content is best stored with the touchpoint systems, while Sitecore wants to store most content itself. I chalk this up to their heritage as a content management vendor. Both approaches have their merits: central storage makes coordination easier but requires continued extension of system features to handle new formats; touchpoint storage makes it harder to know what content is actually available and appropriate. So far, Sitecore has been making the investments to manage new formats centrally, at least to the extent of making the contents visible to functions like message selection, access control, and approval workflows. It doesn’t necessarily extend to actually creating or modifying the contents themselves. Maybe that’s a good compromise. The other important difference is decision rules. These are obviously the main focus of decision management products. Sitecore doesn’t talk about them much, although does deliver them in the form of campaigns flows and dynamic content rules. 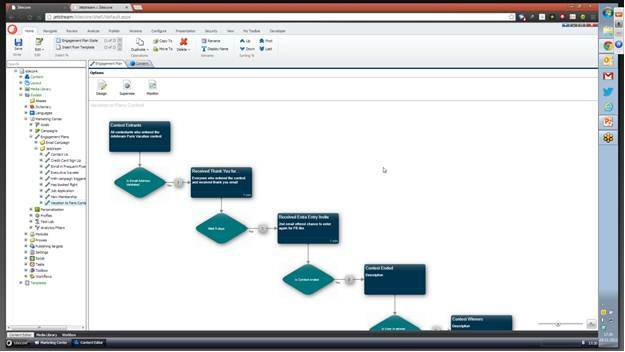 The campaigns can manage activities across multiple channels – such as sending an email response to a Web visit – although they are not as sophisticated as the multi-branch, looping logic, advanced decision arbitration, and integrated predictive modeling available in the best decision management systems. On the other hand, Sitecore makes very powerful use of its close control over content. Each item can be assigned scores on several attributes, such as how much it relates to technology, product, or industry topics. The system then tracks the content consumed by each individual and compares their behavior to “profile cards” of personas such as frequent site visitors with high interest in business. Each person is assigned to the profile card they match most closely; people can be switched to a different card if their behaviors change. This nearest-fit approach is more flexible than the rigid inclusion criteria of traditional segments or lists. Cards are used in decision rules to select contents and treatments for each person. Although I just compared Sitecore with decision management systems, its more immediate competitors are marketing automation vendors. Like Sitecore, they aim to be a company’s core marketing platform. Sitecore’s campaign flow, email and decisioning features are roughly comparable to the same features in mid-tier marketing automation products, while its Web site management and content creation are generally stronger. Marketing automation systems still probably have advantages in analytics and other areas, although it’s hard to generalize. Sitecore does offer the key B2B marketing automation capability to synchronize with CRM products including Salesforce.com and Microsoft Dynamics CRM. One clear difference is that most marketing automation systems today are software-as-a-service products, while Sitecore is sold as licensed software, running either on-premise software or on the Microsoft Azure cloud. Pricing starts around $125,000 for an enterprise deployment. Smaller companies would pay less, but Sitecore will never be a system you can get for $1,000 per month. One easily predictable trend in B2B marketing automation is that vendors will tailor their systems to specific industries. This is happening to some extent, but not as quickly as I had expected. The reason may be that B2B marketing automation products have a narrower scope than B2C systems, meaning there’s less advantage in creating vertical editions. For example, the data model of B2B systems is largely fixed, so industry-specific data models (a major component of vertical systems) are largely irrelevant. But while I see just a few general systems trying to become vertical specialists, I do keep finding specialist products trying to serve additional markets. I wrote in February about one set of these vendors: Balihoo and others that specialize in helping central marketing organizations work with channel partners such as dealers and franchisees. In May I wrote about Demandforce, which specializes in local service businesses such as dentists and auto repair shops and had just been purchased by Intuit. I'm sure plenty of other specialists exist as well. MindMatrix is one of them. Founded 14 years ago, the company has built its business serving the real estate industry, where individual agents and local agencies work in conjunction with large national franchises. The company has nearly 250 clients and about 34,000 end-users, making it larger than most B2B marketing automation vendors. MindMatrix already has 30% of its business outside the real estate market and has recently begun to promote itself as a general purpose marketing automation system – or, more precisely, as the “next generation” of such systems. The company’s justification for this claim is that it adds sales-marketing alignment to standard marketing automation features. Concretely, this refers to centrally-created marketing materials that are automatically personalized for individual sales people; desktop and smartphone alerts for Web activity by sales targets; and creation of personal Web sites, landing pages, and social media accounts. As the table accompanying my Balihoo post indicates, these are pretty much standard features for channel partner systems. But MindMatrix is correct in saying that they’re not part of mainstream B2B marketing automation. Mindmatrix does a good job with these features. 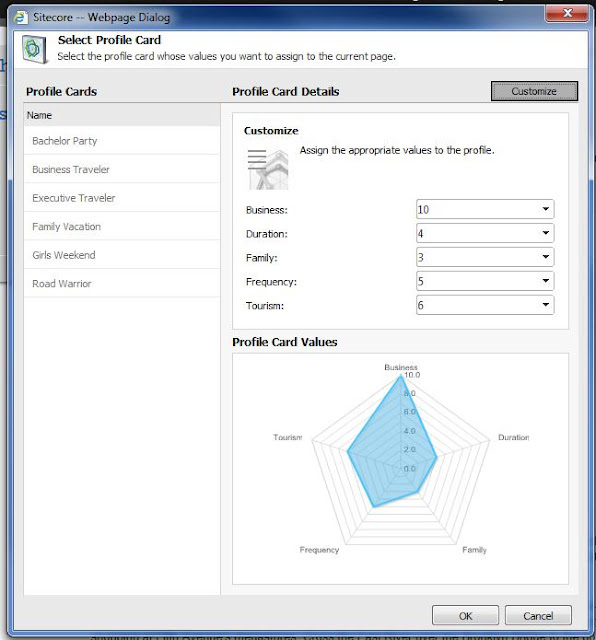 Content personalization is especially sophisticated, supporting dynamic content (i.e., conditional logic) within templates; drawing personalization variables from user, partner, contact, and other tables; and providing precise control over which content attributes can be edited by a salesperson or other end-user. Personalized output formats include not just email, but also Web pages, Powerpoint, and online or pritned PDFs. The content can be sent from the smartphone app as well as the desktop. Emails can be sent through Microsoft Outlook and tracked in the MindMatrix contact history. The system also provides a full set of standard marketing automation features. These include landing pages and forms for lead capture; email and postal mail; lead scoring on attributes and behaviors; branching multi-step campaigns; and bi-directional synchronization with Salesforce.com, Microsoft Dynamics, Outlook, and SugarCRM. Integrations with ACT! And Saleslogix are under development. Lead scoring rules can consider response to system-generated documents, such as proposals and presentations, arguably allowing more accurate scoring than other systems. Another unusual feature, due for release in January 2013, can add personalized Web messages, polls and chat requests as pop-ups within an external Web page. The system’s campaign flow builder is reasonably powerful, with support for test splits, filters on based on time and on complex behaviors such as number of Web page visits, updates of contact data, and sending contacts to a different campaign. The interface lays out steps in the flow like a deck of cards, making it unusually straightforward. Flows can be shared with sales users, with some or all features locked down to prevent unauthorized changes. Does all this really make MindMatrix the next generation of B2B marketing automation? I don’t quite think so: although sales integration is indeed important, I believe the next generation will be focused on serving other groups within the marketing department, including acquisition (advertising and social media) and administration (budgets, planning, content creation, workflow, etc.). Integration with sales will be important but there’s only so far marketing automation systems can go before they compete with CRM – a contest that marketing automation will inevitably lose, since CRM will remain the primary system for sales. Although MindMatrix has been sold primarily as system to coordinate central marketing with channel partners, it is also used with internal sales groups. The company is actively targeting small companies, with a starting price of $499 per month for the marketing features and another $25 per sales person per month. This is competitive with conventional marketing automation products for small-to-mid-size businesses. It's a pretty good deal considering the additional sales alignment features that MindMatrix provides.